Like most LAVA projects the Schumacher Tower represents a form of architecture which integrates complex construction technology and novel digital design methods. The United Emirates: for a number of years now these once tiny coastal towns have become an enormous playing field for modern architecture. However, this fast growing accumulation of eccentric skyscrapers nowadays makes the impression that every more or less well-known architect wants to create his own personal monument here. The many high-tech extras along the lines of "mine even spins in the wind" may serve the purpose of future oriented experimentation, but at the same time they leave behind them errors of form "which make your architectural blood run cold", says the Dubai correspondent of 'hochparterre'. 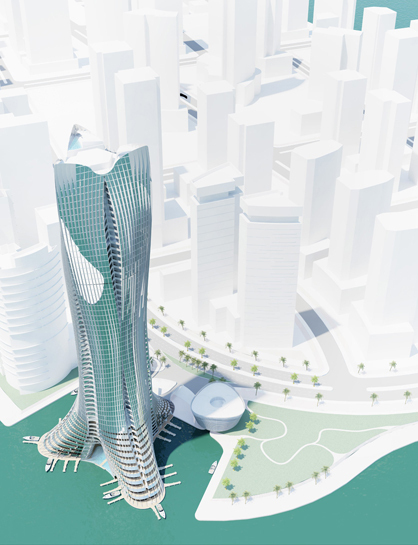 An entirely positive example of the Middle-Eastern mega-architecture, on the other hand, is the Schumacher Tower in Abu Dhabi created by the Stuttgart architects LAVA (Laboratory for Visionary Architecture). The architects Tobias Walliser and Chris Bosse, who were formerly involved in the Mercedes Benz Museum by UNStudio and the Water Cube in Beijing founded their studio only one year ago together with Alexander Rieck, innovation specialist at the Fraunhofer Institute, Stuttgart. One of their first projects was the Architonic Lounge for the imm cologne in January 2008. Like most LAVA projects the Schumacher Tower represents a form of architecture which integrates complex construction technology and novel digital design methods, but from an architectural viewpoint it never loses sight of the human dimension. 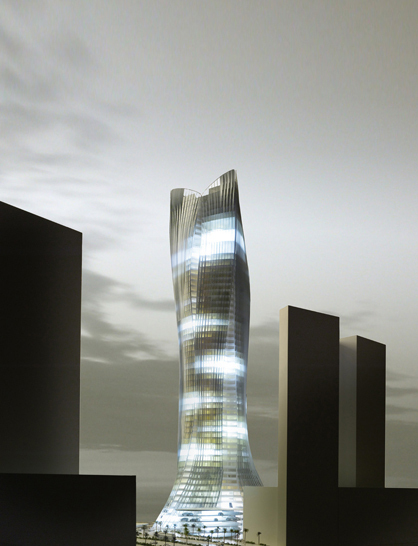 Inspiration for the tower came from natural geometries such as the crystal shape of a snowflake combined with the aerodynamics of a Formula 1 racing car. 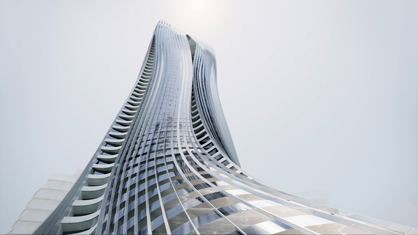 The tower unites speed, dynamism, future-oriented technology and patterns of natural order, using these features to create efficient structures and spaces. “The unique collaboration with Michael Schumacher gave us new insights. Technology, precision, speed, elegance, paired with human intuition and extraordinary performance were a great source of inspiration for the design. Similar to the formula one operation, construction is a team sport with a lot of highly skilled experts. In this sense the architects take the driver seat in the process, taking the project to the physical limits of possibility”, says Alexander Rieck. Especially characteristic for the iconic silhouette of the building are the vertical slits which are created by the way the facade is broken up. These create private balconies and niches. 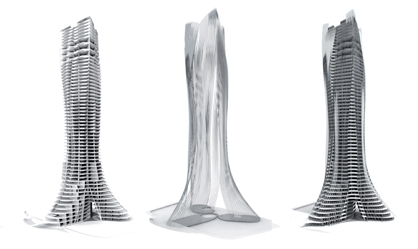 A number of reflecting fins reinforce the vertical dynamism and give the building a constantly changing appearance. The fins align themselves with the sun, which enables them to regulate the sun's rays. The all-compassing facade enables a high level of standardisation in the implementation process. Work is to begin early in 2009, with completion of the tower planned for the middle of 2011.